Although low-linolenic soybean contracts have boomed in the United States, they have declined in Ontario. Trucking low-linolenic soybeans to crush facilities outside Canada reduces the profitability of any premiums. Low-linolenic soybean oil is targeted to the food industry as a heart-healthy oil. The decreased levels of linolenic acid increase the stability and slow the spoilage of the oil, preventing the need for hydrogenation, which can create unhealthy trans fats. Thus, the value of low-linolenic soybeans is in extracting the oil. 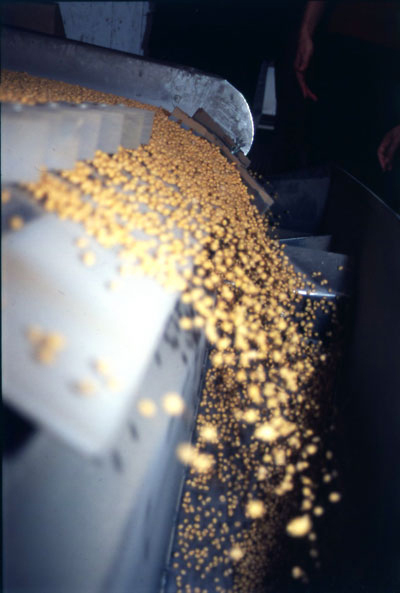 And because soybeans are only about 20 percent oil in composition, it is much more cost effective to extract the oil locally and then ship it than it is to ship the whole soybeans. “When we launched the Vistive soybeans, we were trying to build the market and get some processors (crushing facilities) online. We guaranteed the growers a premium and viewed it as market development, to highlight the identity preservation capabilities of growers in Ontario and try to drive some of the market,” explains Wright. Unfortunately for Ontario growers, the local large crushing facilities have not yet provided segregated processing for these specialty soybeans. 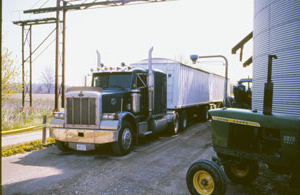 The soybeans must be shipped a long distance to facilities in the United States, and the added freight cost reduces the value of the premium. Although the lack of a local crushing facility is a critical factor, it was likely not the only one that affected acres of low-linolenic soybeans in 2009, says Jim Campbell, general manager of Agris Co-operative, in Chatham, Ontario. “We don’t have any Vistive contracts for the harvest this fall. We were offering one, but growers chose not to grow them.” He thinks two other factors contributed to the decision not to grow low-linolenic soybeans. The lack of a dedicated crush facility cannot overcome the wealth of heart-healthy benefits provided by low-linolenic soybeans. “First of all, the premiums were much higher for food-grade soybeans this year than in prior years. So, if they were an identity-preserved grower, they got a higher premium to grow food-grade soybeans. The other thing was the introduction of Genuity Roundup Ready 2 Yield soybeans. For growers that wanted a Roundup Ready soybean, the predicted yield improvement of a Roundup Ready 2 Yield, for some growers, made the economics of it surpass those of the Vistive for the 2009 harvest.” But, notes Campbell, these factors could differ from year to year. Still, what does this mean for other specialty soybeans that are coming down the pipeline? High-oleic, omega-3, stearidonic acid, high beta-conglycinin: these are just some of the traits that are newly introduced or are in research and development. For those traits that are oils, a local crushing facility will be key for Ontario growers to extract their full value. “It’s one thing to grow them, but if we’ve got to truck them out of the country to get them crushed, it kind-of defeats the whole purpose of growing them here,” remarks Dale Petrie, Ontario Soybean Growers (OSG) general manager. “That’s why we’d like to see a specialty crush facility right here in Ontario.” Without a local, flexible crushing facility, he also fears that the larger seed companies might be less likely to put the new genetics into short-day soybeans suitable for northern growing conditions.